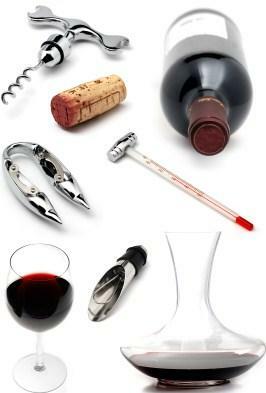 Why wine accessories? Well, here are a few good reasons: Great bottles of wine deserve great wine accessories. Aged wine deserves a decanter, a nice bottle of wine must always be opened with the proper corkscrew and while serving multiple glasses of the same kind of wine, wine glass charms come in very handy. Wine Glasses - Don't laugh, everyone has, at one time or another, sipped wine from something other than a wine glass. Wine decanters - Good wine must breathe to reach its full potential. Wine stoppers - For those off nights in which you don't actually finish a full bottle of wine. No matter how rare of an occurrence, wine stoppers come in handy when you need them. Stemless wine glasses - Never heard of them? You need to visit Wine Accessories more often. Wine refrigerator - Hold your wines at the perfect storage temperature. Wine glass racks - Give your wine glasses a special place to stay. They deserve it. Portable wine storage - So you can enjoy wine on the go.